WestCAT is a bus system covering the northwest part of Contra Costa County, including cities of Hercules, Rodeo, and Pinole. Many routes connect with BART at El Cerrito del Norte Station. 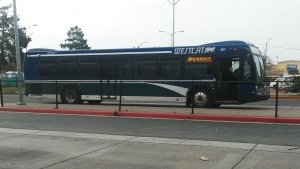 WestCAT also provides dial-a-ride service to the general public in Crockett and Rodeo and to seniors and the disabled throughout the WestCAT service area.